Marcus Sorensen scored two goals, Joe Pavelski had a goal and an assist, and the host San Jose Sharks beat the Colorado Avalanche 4-3 on Friday night. 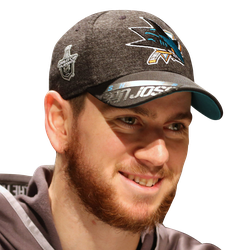 Martin Jones stopped 22 shots, Timo Meier also had a goal, and Kevin Labanc chipped in with two assists for the Sharks, who played without defenseman Erik Karlsson and forward Evander Kane due to injuries. Mikko Rantanen, Nikita Zadorov and Samuel Girard had goals, Gabriel Landeskog had three assists and Semyon Varlamov finished with 36 saves for Colorado. The Avalanche remained tied with Minnesota for the second wild card in the Western Conference. The Wild have played one fewer game. San Jose took a 1-0 lead when Joe Thornton fed Sorensen in front of Colorado's net, and Sorensen knocked it in with a quick deflection at 4:18 of the first period. 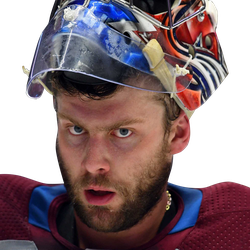 Meier made it 2-0 when he carried the puck into the Avalanche zone and his quick shot beat Varlamov just over the left pad at 2:35 of the second period. Colorado answered when Zadorov's slap shot beat Jones just under the crossbar at 4:55. It was Zadorov's seventh goal of the season, tying his career high. It looked as if it would stay 2-1 going into the third, but Sorensen struck again late in the second. San Jose worked the puck down to Labanc, whose shot hit the right post. Sorensen was able to knock in the rebound to give the Sharks a 3-1 lead at 19:36. It was Sorensen's 13th of the season. Colorado got back within one when Alexander Kerfoot's pass to the front of the net was tipped, hitting Landeskog and heading toward the front of the net. Rantanen flicked it in before Jones could recover to make it 3-2 at 10:08. It was Rantanen's 28th of the season. Pavelski restored the two-goal lead when he scored his 36th goal of the season on the power play at 12:39. Colorado came right back to make it 4-3 on Girard's fourth goal 48 seconds later. Varlamov came off for an extra skater with 2:10 remaining, but Colorado couldn't score.